Centre bounce starting positions and longer goalsquares are one step closer to being introduced after the AFL Competition Committee finalised the recommendations it will put before the Commission this month in a bid to reduce congestion. 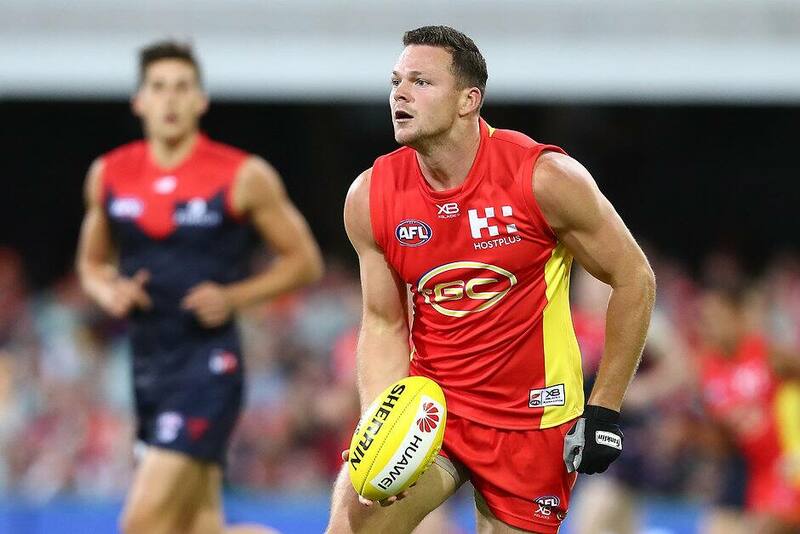 AFL football operations manager Steve Hocking confirmed on Thursday the Competition Committee had signed off on recommendations that would see six-six-six starting positions enforced at every centre bounce and the length of goalsquares stretched from nine to 18m. Hocking said the committee would also recommend the introduction of a mid-season player exchange period next year, but preferred not to divulge whether it had settled on a draft, trade period or both. The committee's plan to combat congestion also involves tightening the rules around when runners and water carriers can enter the field and the interpretations of some existing rules, such as holding the ball, protected zones and deliberate out of bounds. Hocking said the AFL executive had already approved the Committee's recommendations, but stressed the Commission would have the final say when it met on the day of the Brownlow Medal count (September 24). However, the AFL footy boss was confident the Committee's recommendations, if adopted, would help create a better style of play. "I feel like what's been put in front of the Commission is well researched, it's been trialed well beyond any of the trials that have ever gone on previously – the centre diamond was plugged in for one game and it's now a square," Hocking said after the Committee's meeting on Thursday. "We've done it across multiple games, we've done it with AFL clubs, all the stuff that we're putting forward is well researched. (I'm) very, very comfortable and satisfied with the work that's been done and the response today from the comp committee I couldn't be happier with." Hocking said the recent three rules trials in VFL games had resulted in a 15 per cent increase in scoring and a 14 per cent decrease in tackles. "To get those changes without any lead-in at all with those teams, you're talking a couple of days out as far as them socialising those game adjustments, that was significant for us," Hocking said. Hocking also said the starting positions at centre bounces had created "much more open play", with ruckmen brought into the game more and midfielders enjoying more time – "definitely seconds longer" – to make decisions. Under the proposed centre square starting positions, six players would be required to start in the forward 50m arc, centre square and defensive 50m arc. In both 50m arcs, at least one player from each team would have to start in the goalsquare, while wingmen would be permitted to start anywhere along the side of the centre square, but not along its defensive or forward sides. Free kicks will be paid against players who are not in their correct starting position, as they are now for players who enter the centre square before the ball is bounced. However, Hocking said just one infringement had occurred in the three VFL trial games. The Committee will recommend runners only be allowed to enter the ground after goals, while water carriers would only be allowed on when players after taking shots at goal. "When the play is live we've got to have less involvement from external sources," Hocking said. Ruckmen grabbing the ball directly from ball-ups or throw-ins. The League footy boss said over the next year he hoped to at least halve the length of the Laws of the Game booklet, which runs to 83 pages. "That's just to simplify the game for fans, for players, for coaches, and also umpires to make their role in the game far easier than what it currently is because it's become very technical," Hocking said. If approved by the Commission, the recommended rule changes will be introduced next year.